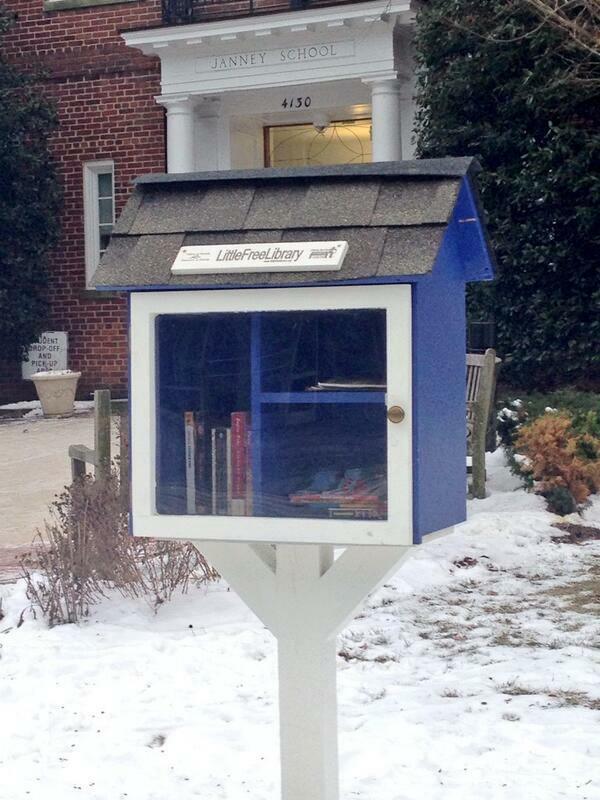 Little Free Library Comes to Janney | Tenleytown, D.C.
Posted on January 27, 2014 by Tenleytown, D.C. Adding to the many programs Tenleytown has to encourage literacy and a love of reading, neighbors can now “take a book, return a book” at the Little Free Library in front of Janney Elementary School. Begun in Wisconsin in 2009, Little Free Libraries are miniature libraries where people can exchange favorite books. The premise is simple – take a book and bring it back when you are done or contribute your own favorite book for others to enjoy. The library outside Janney joins five registered Little Free Libraries in the District. There are more than 10,000 across the globe. Thanks to Twitter follower @soamiely for sharing this photo.